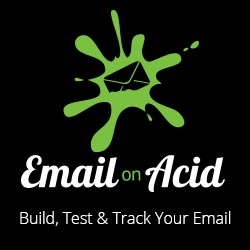 Gmail released a new set of Promotion Tab features yesterday that included a sender customized preview called PromotionCard, custom logos and deal badges. See here for the overview. 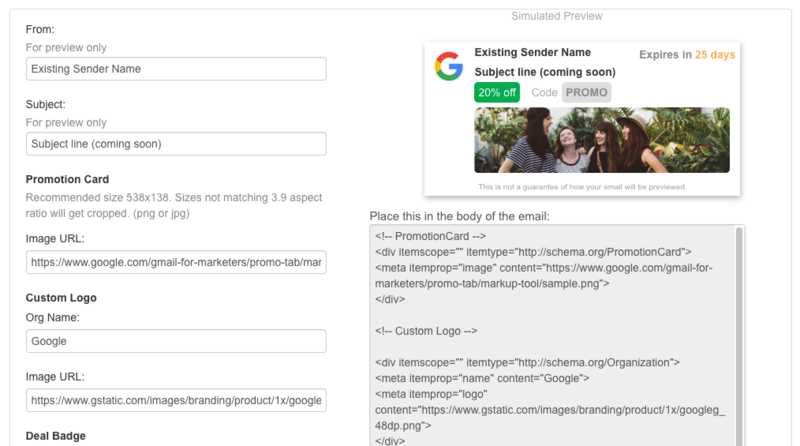 I’ve created a simple tool to help you generate the markup required to display the features when your email is featured in the Top Promotions section in Gmail’s Promotion Tab (Note there is no guarantee that your email will be featured). Try the Promotion Tab Markup Tool.